Shop online for over 500 in stock science kits / projects / experiment / educational kits at discounts up to 90%. Kits is the most popular of the 4 in stock science kits / projects / experiment / educational kits categories, then Optical, and Mineral/Fossil. Tamiya is ranked #1 out of 33 in stock science kits / projects / experiment / educational kits manufacturers, followed by Woodland Scenics, and Stevens Motors. 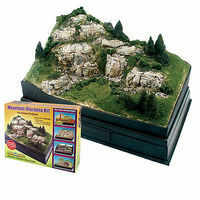 This is the Scene-A-Rama Mountain Diorama Kit by Woodland Scenics. 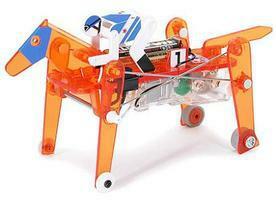 The galloping racehorse with jockey is loads of fun to build, loads of fun to play with, and educational too! Employing left and right legs moving at the same time, the legs and wheel base have been designed for stability and faster running. Overall this galloping racehorse can run 1.3 times faster than the mechanical rabbit. 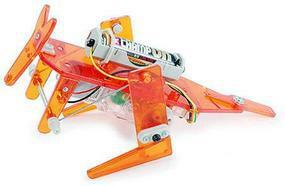 This is the Mechanical Kangaroo Assembly Kit from Tamiya's RoboCraft Series. For Ages 10 and Up. This helicopter was the "The Wright Inspiration". It was given to the Wright Brothers when they were 8 and 12. The helicopter, and their fascination with powered flight, held Wilbur and Orville's interest as they continued on their journey into the invention of flight. The Wright Bat features Rubber band powered. It assembles in minutes with no cutting or gluing. It also flies indoors or outdoors. . This is a Tank Tracked Vehicle Chassis Kit from Tamiya. It's for very experienced model builders. Tamiya now presents the Mechanical Tiger as its next addition to the Robocraft Series. Power from the rotating motor is transferred to the legs via crank plates to make the tiger walk. Tiger's body parts have been molded with yellow semi-transparent plastic, giving the tiger a futuristic look. Assembly is very simple with use of screws and snap-lock parts. This Bunsen Burner is a Laboratory Apparatus by Perfect. These are the Scene-A-Rama Native American Figures from the Woodland Scenics Scene Setter Educational Series. Suitable for Ages 7 & Up. These are Ceramic Ring Magnets from the Magnet Source. Not for Children! This is the Human Skeleton Humany Anatomy Model Kit from Lindberg. Suitable for Ages 10 & Older. This is a High Efficiency High Speed Gear Box Assembly Kit from the Technicraft Series by Tamiya. 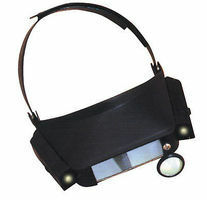 This is the OptiVISOR AL Headband Magnifier from Donegan Optical Company. These are the Scene-A-Rama Native American Hung Figures from the Woodland Scenics Scene Setter Educational Series. Suitable for Ages 7 & Up. This is the Scene-A-Rama Basic Diorama Kit by Woodland Scenics. This is the Scene-A-Rama Foliage & Grasses Accent Kit by Woodland Scenics.